SHANGHAI With the six-month-long Shanghai Expo having ended successfully Sunday, Yeosu is hoping to gather momentum for the 2012 event which will be held in the southern coastal city. “The theme of the Yeosu expo has been gaining a lot of international recognition. 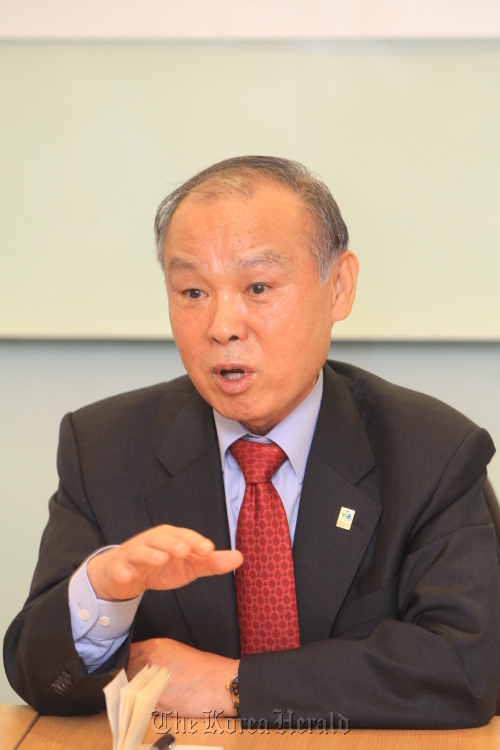 In fact, we were granted the right to host this major event because many thought the issue is being dealt with at the right time and right place,” Kang Dong-suk, chairman of the 2012 Yeosu Expo Organizing Committee, told reporters. Kang further explained that oceans, which account for more than 70 percent of the earth, are rich in energy and resources and will provide solutions to scarcities of resources in the future. Yet because of the oceans’ borderless nature, closer global cooperation, rather than just the efforts of advanced countries, is crucial to preserve them, Kang said. The chairman projected that the Yeosu expo will be able to function as a foundation for initiating global efforts in dealing with environmental issues. Although smaller in size than the one in Shanghai, the expo in Yeosu will be able to differentiate itself from the previous one with unique content and the country’s outstanding information technology, Kang said. 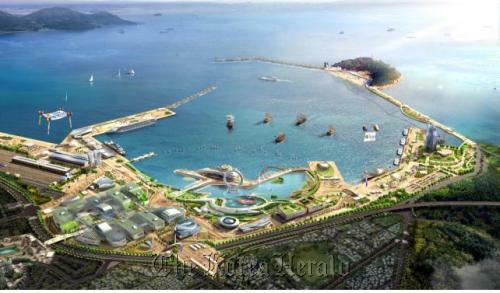 Due to its focus on oceans, Yeosu will build the main pavilion on water, the first time for an expo. The construction, which is being designed by a group of Austrian architects, will remain after the expo ends and become a landmark of the city, Kang said. The Yeosu expo will also maximize the use of interactive content, rather than the 3-D videos which comprised most of the Shanghai expo exhibitions. Meanwhile, utilizing Korea’s outstanding information technology system, the expo in Yeosu will be more convenient for visitors, Kang said. The expo organizing committee is creating a “package system” where visitors can book their tickets and accommodation, and even shop for the region’s specialties with just a few clicks. On site, the expo will also operate a real-time booking system for smartphones, which will reduce queuing times for visitors. But Kang also mentioned a couple of Yeosu’s weaknesses which it is currently working to improve. Located at the southern end of the Korean Peninsula, the city’s accessibility from the country’s major cities is still not very good. “We are trying to improve the accessibility of the city by train, plane and ship. Especially as most of the foreign visitors to the event are expected to be either Japanese or Chinese, the city is planning to operate chartered flights and cruise tour packages from the two countries during the expo period,” Kang said. The chairman also called for more active collaboration among municipalities in South Jeolla Province, saying that they are crucial to the expo’s success. “It is way too difficult for small Yeosu to embrace all the visitors in terms of accommodation and restaurants. I hope the region can create a southern coast tourism belt where cities can reciprocally benefit from sharing the expo visitors with Yeosu,” he said. The Shanghai Expo became the largest and most successful expo so far, attracting more than 73 million visitors and 190 participating countries. The Republic of Korea Pavilion was one of the most popular, drawing more than 7.3 million visitors thanks to its unique features and eye-catching performances. Having recognized the world’s interest in Korea, Yeosu is ambitiously gearing up for the expo in 2012. The city has already registered 70 participating countries for the event. The list includes adjacent China and Japan, plus Germany, the United States and Papua New Guinea. The committee ultimately aims to attract 100 countries, 10 international organizations and over 8 million visitors to the expo. The Korean government believes the global event will spur not only regional economic development but also boost balanced domestic development. The expo is also expected to generate about 12.3 trillion won ($11 billion) worth of production and create about 5.7 trillion won in added value, as well as 79,000 jobs.